If you manage parking operations at a college or university, you want to help students and faculty find open spots safely and efficiently so they can get to class on time. Unfortunately, it often feels as if the cards are stacked against you. Adding more parking structures can be cost-prohibitive and won’t necessarily solve the availability problem. Parking occupancy levels can vary from structure to structure due to class schedules, campus events, traffic, weather conditions and many other factors. 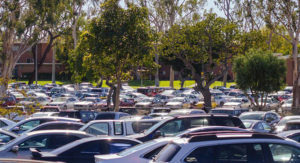 Oftentimes, the total number of parking spaces is adequate to handle demand, but availability varies by location depending on the time of day, the day of the week, campus events and other factors. If there’s no system to share real-time availability information, parkers won’t know where to look. Perhaps you have an availability system that is inaccurate, or the information needed to quickly guide parkers is inadequate. Perhaps you have multiple parking systems that don’t communicate with each because they’re technologically incompatible, outdated or both. Or like many universities, you have no system at all. If your university relies on performing manual counts to understand inventory, you know this isn’t the most practical solution nor is it giving you real-time availability counts. The right parking system automates the process so you don’t have to do manual counting. You can’t keep inadequate parking availability a secret. One college visit can be all it takes for parking hassles to discourage a prospective applicant or teaching candidate. Students and faculty may be habitually late for class, which hurts productivity and leads to reduced student engagement and teachers’ job satisfaction. Problems compound when would-be parkers create congestion in lots, garages and roads. Congestion caused by vehicles circling for parking has a negative impact on air quality, which hurts your institution’s Earth-friendly image. Games may be under-attended because spectators would rather not deal with parking hassles. Special events can be a nightmare for campus personnel and police directing traffic. Hundreds of cars descending on campus can cause endless queues at parking areas or parking illegally. While parking tickets can be a source of funding for colleges, they don’t fix the underlying parking issues. Some individuals will even accept parking tickets because they care more about getting to class or work on time. But they’re not happy about it and that affects both student and employee satisfaction and retention. The answer to your campus parking problems is not building more spaces, changing the parking rules or handing out more fines. It’s about optimizing the utilization of the spaces you already have, and to do that, you must have highly accurate, real-time parking availability data from all your garages, lots and on-street parking in one central place. With insight into your total parking inventory, you can stop the circling cars, ease congestion, guide parkers into spaces faster and get them to their destinations on time. And most important of all doesn’t cost a fortune. Successfully addressing campus parking availability issues doesn’t have to cost a fortune. If you’d like a simplified, highly accurate smart parking solution that works with the systems you already use, talk to us. We all want to provide a smooth parking experience for our customers, employees, students, shoppers and more. Whether you’re buying one component of a parking availability and guidance solution, outfitting a single lot or garage, or building a system for your entire parking environment, your goal is to solve parking challenges with a system that can handle future needs—not create new issues. You need a solution that doesn’t require an engineering degree to implement. The system should be flexible, cost-effective and able to disseminate information throughout your diverse infrastructure— lots, garages, street parking. 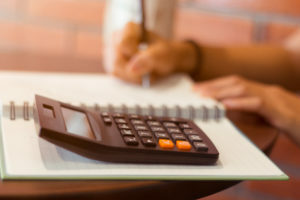 The right solution will meet your high-accuracy needs at a price that will drive value and ROI. That’s quite a list, but the good news is that the solution is simple: If you want a highly accurate system that delivers a superior parking experience for customers and makes your job easier, you need an open platform parking solution. The key difference between an open platform and a closed system is the ability to connect to different data sources and outputs without having to pay for custom coding to integrate it with your existing systems, new technologies or a specific component from another manufacturer. The open platform has pre-built integrations or toolkits that make this a simple process that the supplier has to worry about, not you. But what does this have to do with the people looking for a convenient place to park? Here are five benefits of an open platform parking availability and guidance solution. Most parking operations have a number of different environments in which tracking availability is necessary—garages, lots and street parking, to name the most common—and a variety of applications they want to deploy, such as availability and guidance, access control, safety and reservations. Messaging, mass notifications, custom analytics and integrations with other systems may also be required. The challenge is that there isn’t typically one technology that fits every environment or configuration, and there aren’t any suppliers who cover every possible scenario. 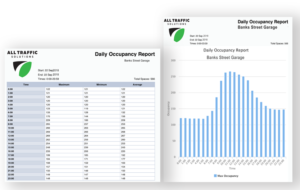 Across it all, you want one “source of truth”: a central system where you can see the availability, utilization, occupancy time, duration and type of parking stay at every structure under your management. This level of efficiency can only happen when you have very high accuracy rates, and without them, you can’t solve your parking problems. must make tradeoffs in terms of cost and accuracy—unless you invest in an open platform. An open platform allows you to integrate the most accurate technology and manage the cost at each location. Perhaps you need availability information at the lot level at Location A, so using one laser or thermal camera at an entrance and exit is sufficient. 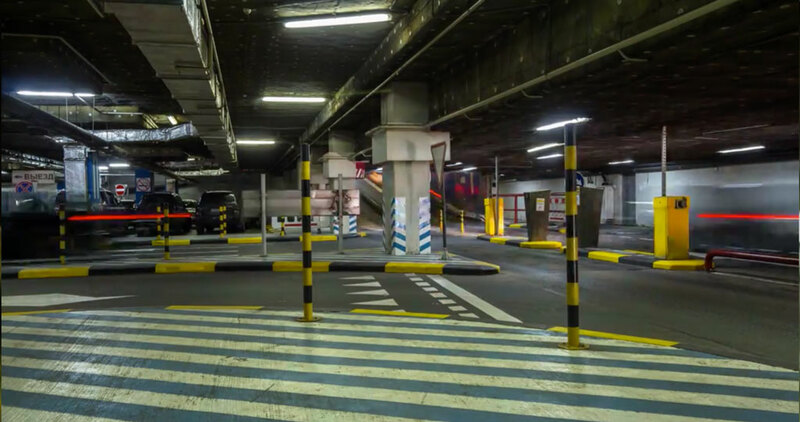 At Location B, you may require bollards for every space as well as the ability to know the exact number of premium spaces on each level. An open system allows you to choose the right system for each location to optimize costs while at the same time achieving your parking goal. With the right systems in place, you can reduce congestion in your garages, lots and on-street parking locations, so parkers find the best spot, faster and with far less hassle. You invest in a great new system with all the latest technology, only to have it leapfrogged the next year by a more accurate, cost-effective component that would solve your problems but you can’t add it to your system because it doesn’t integrate with your technology. If you have an open platform parking system, you future-proof yourself against obsolescence and keep your options open as new, more accurate and efficient options are introduced. You need to be able to adopt future technology improvements as needed, and leverage the investments you’ve already made. Parking hardware can be expensive, and being able to re-tool it into the next generation of parking technology is a benefit when you are looking to add to or upgrade your system. This means the ability to pull in data from your on-premises PARCS or ALPR system for availability, integrating new devices to supplement your existing configurations or devices, and leveraging your signage, apps or website for guidance can all reduce the cost to upgrade and provide you with the most flexible path to introducing new technologies on an ongoing basis. Not only are you saving time and cost, but you’re also increasing efficiency levels while reducing parker stress levels—a win-win situation. End of life issues, price increases, maintenance and other cost issues as equipment ages are ongoing challenges with a closed system. In the event that the vendor doesn’t progress at the pace or with the technology you need as you grow and expand, it can be difficult and expensive to switch. Other issues include hardware purchases and installation, software configuration, custom integration with other systems and the learning curve for your IT and maintenance staff. These are all barriers to switching that can be insurmountable. By selecting an open and interoperable solution, you can select the technology you want with the peace of mind that your investment is protected. You reduce complexity and add flexibility without giving up highly accurate counts across your operation. By creating open solutions for your smart parking system, you can better meet today’s needs as well as tomorrow’s without sacrificing accuracy, efficiency or affordability. This is a win for you, your stakeholders and your customers. 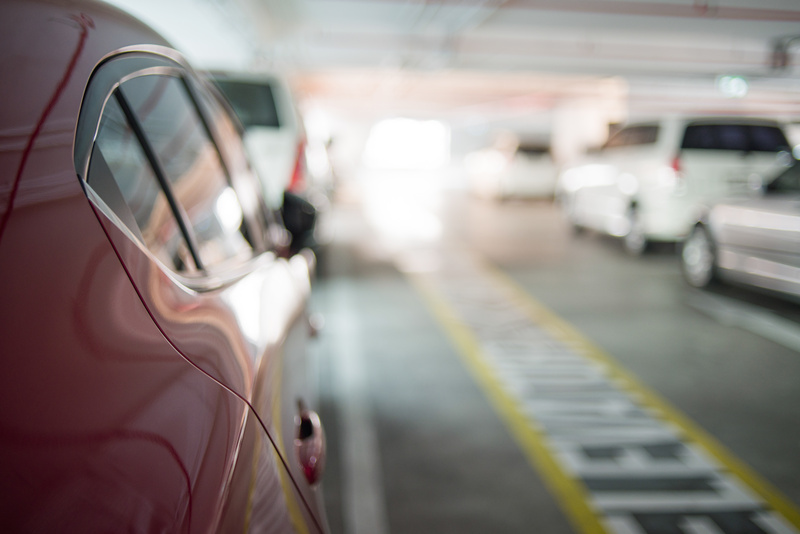 For more on the benefits of open platform smart parking solutions, download our white paper How to Achieve “Availability Certainty” Using Connected Parking Systems and Real-time Data. With everyone from commercial operators and municipalities to colleges, universities and airports working to optimize operations, “smart parking” solutions can be a game changer. For parking professionals looking to reduce congestion, circling and emissions, increase customer satisfaction, optimize utilization, build yield-driven pricing strategies, increase safety and improve enforcement, deploying technology-driven solutions that cost-effectively provide real-time benefits opens whole new worlds. 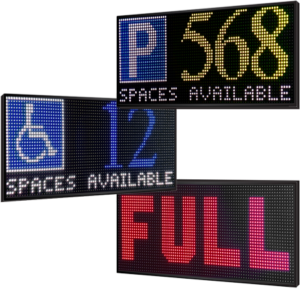 Your parking operation is adversely affected when you don’t have real-time availability data. Manually counting open spaces in your parking garage or on surface lots is ineffective and produces inaccuracies that have many repercussions. Let’s look at why tracking parking occupancy is important and the new parking counting system that gives you real-time parking availability counts with over 98% accuracy levels. For example, if you are a town with on-street and off-street parking facilities, you probably have high-volume areas where it’s difficult to find parking. As a result, drivers must circle for open spots, which makes them late for work, unable to shop and conduct business—and that makes drivers and businesses unhappy. Circling and waiting in line also cause congestion on streets and in garages and surface lots. That congestion, in turn, creates traffic problems and safety issues. 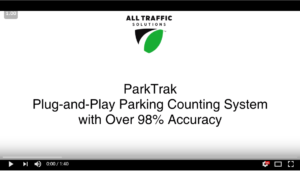 One solution is to install a ParkTrak plug-and-play counting system from All Traffic Solutions. ParkTrak uses laser technology to precisely count vehicles with over 98% accuracy. With ParkTrak, you can generate accurate availability counts and send that real-time information to your signs, apps, websites and more. Easy to set up—just mount, point, and set directional ranges for vehicle detection. The audible beep tells you ParkTrak is detecting and ready to go! ParkTrak comes pre-configured for ParkingCloud™ so you have real-time access to data and analytics, including parking usage and availability reports, and can push information to wherever you need it. It can also integrate with other systems you’re already using. If you would like to learn how ParkTrak can help you optimize your parking availability and guidance solutions, an ATS parking solutions expert is happy to assist you. 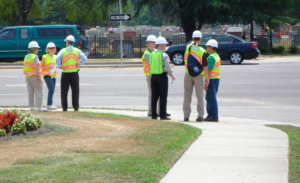 Most organizations are looking to do more with less, but this can be difficult when it comes to something as critical as traffic safety. 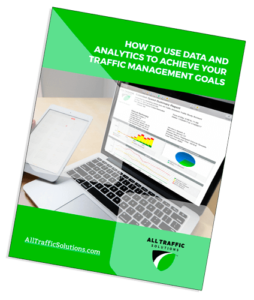 One way to maximize your traffic management budget and see better results is to employ multi-purpose, web-enabled traffic devices. What is a multipurpose traffic device? A multipurpose traffic device is traffic management or traffic calming equipment, such as a radar message display, vehicle counter classifier or speed trailer, which can be utilized in more than one application. Many police departments and departments of public works own radar speed signs that display driver speed as each vehicle passes. Radar speed signs are very useful – All Traffic Solutions makes two sizes of portable radar speed signs that our customers swear by. But if you want to do more than display driver speeds, but don’t have the budget to purchase different types of signs, then a radar message display is the answer. These versatile radar signs record and display driver speeds, and you can also program speed-dependent or other messages to display as well. For example, when the Blue Honda Civic drives through the school zone at 15 miles per hour, the sign flashes their speed followed by a message to HAVE A NICE DAY. But when the black Mustang drives through that same school zone going 38 miles per hour, they see not only their speed but a flashing TOO FAST! message as well. 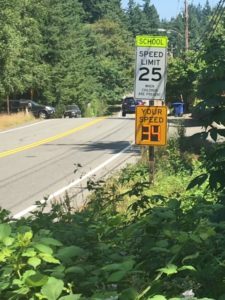 Taken a step further, the sign can also be equipped with flashing red and blue lights and an audible alert that sounds to warn students and crossing guards that a speeding vehicle is approaching. These instant, jarring reminders grab drivers’ attention so they slow down fast. That radar message display can also be utilized as a variable message sign; for example, it can be moved to another road each Saturday to direct drivers to available parking for the high school game. Having radar speed displays that can be used as variable message signs can really stretch the budget. The department’s seven existing custom speed trailers and seven message trailers were cumbersome to haul from location to location, and though they displayed driver speeds, they did not record speed or volume information and were too large to station on many roads. 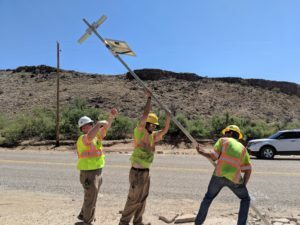 After seeing all that SpeedAlert 24 web-enabled radar message displays could do for them— such as record accurate speed and volume data and display speed-dependent messages—MCPD purchased six. They also purchased six ATS 5 Trailers for their new signs which, unlike their old trailers, are lightweight and can be maneuvered easily without using a truck. This saves on fuel and maximizes available resources. Web-enabled radar message displays like SpeedAlert can also capture speed data, either while the sign is illuminated or in stealth mode so as to not affect driver behavior as it captures benchmarking data. Law enforcement, departments of transportation and municipalities all use SpeedAlert to run fast speed studies. Vehicle counter classifiers can also be multipurpose wonders. 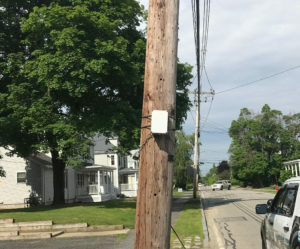 In Massachusetts, the Natick Police Department rely on ATS StatTrak roadside counter classifiers’ speed measurement capability to run quick, accurate speed surveys that they can generate in seconds using the TraffiCloud remote traffic management system. StatTrak is installed on the side of the road, away from direct vehicle contact for safety and uninterrupted traffic flow. 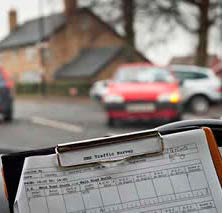 The speed surveys are used to address speeding complaints, to determine if the department should invest more time and resources into a particular roadway, and since oftentimes the data proves there is no issue, the Natick police can prioritize their resources more effectively. 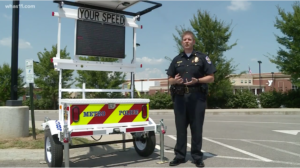 Since that speed trailer is positioned at the side of the road anyway, why not add a portable automatic license plate recognition (ALPR) system? Capture license plates to locate vehicle owners who have outstanding arrest warrants or unpaid tickets, cover access points for wanted vehicles or know exactly who’s on your campus. 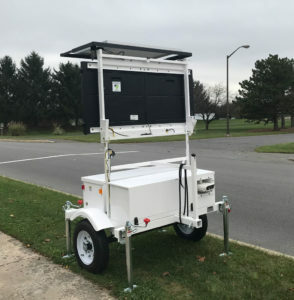 ATS 5 Trailers are available with optional all-in-one ALPR systems that are designed to simplify deployments from specification through installation. If your agency struggles to make every dollar count, look into multipurpose, resource-saving traffic management devices. Continuing with the last post, while understanding your parking operation has a variety of needs and environments, you also have a budget to meet. The dizzying variety of options can quickly result in a technology solution that can over-equip you with the wrong sensors or below desired accuracy levels simply because the manufacturer you’re working with is only able to offer a limited technology choice. The desire to have one system of record housing all of your availability data means that you must make trade-offs in terms of cost and accuracy, unless you invest in an open platform instead. We all know the scenario: you invest in a great new system with all the latest technology, only to have it leapfrogged the next year by a more accurate, cost-effective component that would solve your problems even better and at a more attractive price point. But you can’t add it onto your system because it doesn’t integrate with your technology. 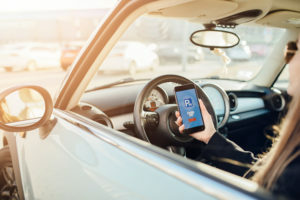 In many areas of business, this has been overcome with the widespread adoption of open or interoperable systems, but in parking availability and guidance, there are few that have the ability to seamlessly add new technology when that “killer app” comes out. By leveraging an open platform, you future-proof yourself against obsolescence and keep your options open as new, more accurate, more functional and oftentimes less expensive options are introduced. Not only do you need to be able to adopt future technology improvements as needed, you want to retain your ability to leverage the investments you’ve already made. Parking hardware can be expensive, and being able to re-tool it into the next generation of parking technology is a benefit when you are looking to upgrade. Pulling data from your on-premises PARCS or ALPR system to provide availability, integrating new devices into your technology stack that supplement your existing configurations of loops or cameras, and leveraging your signage, apps or website for guidance can all reduce the cost to upgrade and provide you with the most flexible path to introducing new technologies on an ongoing basis. A corollary to the last two points, getting locked into one vendor has many negatives. End of life issues, price increases, and maintenance and other cost issues as equipment ages all add together to create ongoing challenges with a closed system. In the event that the vendor doesn’t progress at the pace you need as you grow and expand or go in the direction, from a technical perspective, that you were expecting (or that the industry is), it can be difficult to switch. 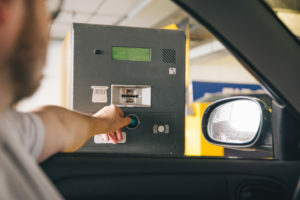 The lifetime of parking equipment can be a number of years, and the investment is not insignificant, so switching can incur major costs, both hard and soft. Hardware purchase and installation, software configuration, custom integration with other systems, and the learning curve for your staff (including IT and maintenance) all compile to create a barrier to switching that can be insurmountable. By selecting an open and interoperable solution, you provide the flexibility to select the technology you want with the peace of mind that your investment is protected. On an ongoing basis, new data sets are introduced that have the potential to improve your parking operation—traffic and congestion feeds, city-wide parking availability apps, campus apps, HR systems, mass notification solutions, and yield management applications that leverage broader data sets, for just a few examples. With an open platform your options become endless. You can either ingest data from these sources or push your availability data to them to increase the impact of your efforts. 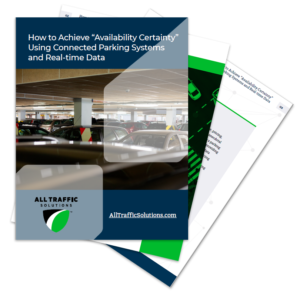 By integrating your availability data or information about individual vehicle locations, the reach of your parking system can extend throughout the organization or community in a way that you may not have anticipated. 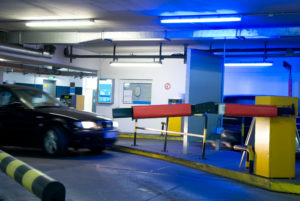 Regardless of the sensors or signs required for your parking availability and guidance solutions, integrating new, more cost- effective or more functional technologies will always be a need. By creating open solutions for your technology stack, you can better meet your needs for today as well as establish the infrastructure that will take you into the future, regardless of your next generation needs or technology advancements. This is a win for you, your stakeholders and customers, and for parkers everywhere. For more information or to request a quote, contact an ATS parking solutions expert. This post is an excerpt from the ATS white paper Getting to 99% Accuracy with “Right Fit, Right Technology” Solutions: Why Platform Matters. In today’s post we’ll look at why real-time parking data and analytics are two cornerstones of a successful parking system implementation and operation, and how the right parking guidance solution contributes to your success. Then, we’ll discuss strategies you can implement at your organization, as well as some tips you can use when evaluating and implementing a parking availability and guidance system of your own. Parking availability & guidance solutions are oftentimes built around one technology. But what if instead of evaluating the sensor type, you were able to look at your parking systems as a total solution designed to capture the highest accuracy data and not as a “one-size-fits-all” device? In that case, you wouldn’t want to commit to one sensor type because you may find your environment—outdoor lots, garages, single paid spaces, space-by-space—requires multiple technologies. If you have a combination of a few or all of these, you have to look at your sensors as part of an overall solution, one with a combined dashboard and set of metrics that allow you to understand your entire environment. Sensors’ accuracy levels should be driven by matching the right technology to the problem, in order to dynamically route traffic and parkers to the right place. It might be something as simple as a puck in the pavement, a laser counter, or ALPR for all of your access control and counting, but each solution has a ‘best fit’ from a technology as well as from an environment standpoint. Newer parking technologies can be less intrusive on infrastructure. For example, you can install an optical laser system using existing power in the garage ceiling and have your entire garage outfitted and calibrated in a day or two. 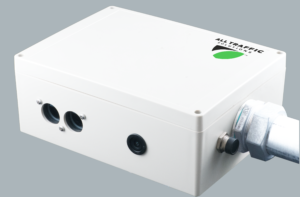 The ParkTrak from All Traffic Solutions is a plug-and-play parking counting system that uses laser technology and directional logic. It installs in under one day without cutting into your infrastructure or disrupting your operations. It is easy to configure and delivers greater than 98% accuracy. Parking guidance systems come in many forms. To find the right one for you, you first want to understand what guidance and wayfinding should look like based on your needs. Signage should conveniently and succinctly tell people where the available parking is, without them having to take their eyes off the road, slow down or stop. Signage should be thoughtfully placed, easy to understand and keep traffic moving. While some need permanent signs, others only need to deploy signage occasionally, such as when their visitor log shows that exiting traffic will be heavy. Others may only require a sign to direct people to visitor parking during special events, such as a conference, college graduation or sporting event. Many parking managers wonder if they need to have signs or if they can simply provide wayfinding with red and green lights. It’s all about the right solution for the right needs, and indicators often fit the bill. These versatile parking guidance tools let people know instantly when a parking area or zone is crowded. You can use a traditional parking app, a corporate app or intranet, social networks like Twitter and Facebook, or opt-in text messaging. These tools provide empowerment and offer users a variety of information choices. Data and reporting are relatively new to the parking industry. 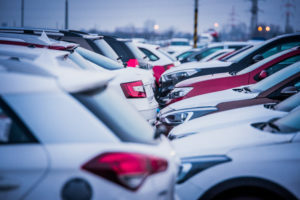 Parking data shouldn’t just live in your forecasting tool; you should be able to present data to your customers in the form of availability and be able to prepare for what parking may look like in days ahead, based on data trends. If you have a telecommuting policy, there may be a group of people to whom you could give a work-from-home option on heavy parking days. Data is very powerful, but only if you harness it. You need to have goals for how to use your parking data. What’s your counting availability goal? Do you want to know how many vehicles enter or exit and when, or what the peak parking periods and days are? Do you want to be able to see your existing entries and exits before you consolidate regional offices into your corporate headquarters or before you build a new parking facility? We’ve seen corporate HQs that close down regional offices and bring everybody on to the corporate campus, only to discover that parking is untenable. Analytics is also part of the data and reporting structure. Analytics help to break through anecdotal conversations by providing you with the facts. When you’re doing parking analysis, being able to forecast availability is kind of the holy grail, but you can get awfully close. You can make infrastructure and parking planning a priority. You can make better decisions about where to place your headcount by knowing where employees, visitors and shoppers can park. In retail, if you’re able to see that you’re losing 100 potential customers a day because parking is too difficult, you can assign a cost to that. You have to be able to understand the parking data, so the data interpretation that comes with your reporting tool is critical. You also want to partner with a provider who not only gives you the data and the reporting, but provides a simple process for interpreting it. Real-time data and reporting can save parkers time, energy and effort and alleviate stress over where they are going to park because now they’re able to reserve it, pay for it and access it in real time. Real-time parking data makes it easy for employees to find available parking quickly, reducing stress and improving productivity. Operators can take their garages and their revenue back, increase profits and reduce costs. They can get the best price for their spaces by driving folks to their own apps and driving more revenue for themselves, rather than paying an aggregator. IT has a stake in parking because of its ability to interface with things like the employee ID, campus security and parking gate systems. 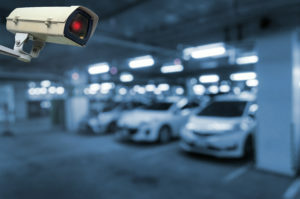 IT appreciates a parking system that is future-proofed and works well, both from an integration standpoint and an information security standpoint. Data helps cities ease the parking congestion nightmare. Real-time data improves traffic flow by directing people to available parking in real time. Cities that focus on reducing congestion and traffic density have a much happier driving public and a healthier city through reduced emissions. Leveraging data for proactive decision making is what we all want to do. 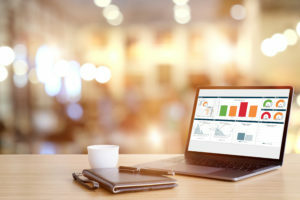 The exciting thing about real-time parking availability and real-time data that tells you what’s going on in your facilities is that when machine learning and predictive analytics come into play, you can come pretty close to achieving “availability certainty.” You can look at your data in six months to a year, see the trends and be able to accurately forecast. Your tools can be set to do some of that forecasting for you so you never have to guess what parking will look like from year to year. You will know what to expect and can plan for it. ATS’ ParkingCloud™ is the only cloud-based IoT platform purpose-built for the parking, transportation and traffic industries that integrates all your devices, data and output in one place. ParkingCloud works with just about any third-party data, sensors, legacy devices and publicly available data sets. It has a machine learning engine, provides analytics and reporting, and can combine data sets so that you can see how everything works together and how traffic data potentially impacts parking data and vice versa. ParkingCloud incorporates our (or your existing) guidance and wayfinding system, your reservation system and mobile payments, and PARCS systems. ParkingCloud removes the burden of having to build out your own system or having to use locally-based systems which require you to continually upgrade or service. We handle all this in real time in the Cloud, making it as maintenance-free and hands-off for you as possible. It’s the true easily customizable solution versus a “one-size-fits-all” that really doesn’t fit anybody. In our last post, we wrote about how to assess your parking needs. For more information or to request a quote, contact an ATS solutions expert. Regardless of whether you’re buying one component of a parking availability and guidance solution, outfitting one lot or garage, or crafting a system for your entire parking environment, your goal is to solve your parking challenges, both today and into the future. You need something that is flexible enough to cost-effectively instrument and disseminate information throughout your diverse infrastructure—lots, garages, street parking—with the right solution to meet your accuracy needs, at the price that will drive value, that doesn’t require an engineering degree to implement, and that has an easy-to-demonstrate impact on your organization. Nobody thinks about platform when picking a parking availability and guidance solution. In fact, buyers rarely think about platform at all when they’re buying any parking solution. But, it could be the most important part of any technology decision you make. What is an “open platform”? You hear about platform in many industries today, but what does it mean really? When we talk about platform, we’re talking about a solution that allows you to integrate with many different components, such as sensors, signs, data sets, and external systems, without extensive custom coding or other IT or engineering work. The key difference between an open platform and a closed system is the ability to connect to different data sources and outputs without having to pay for a custom coding effort to get it to integrate with your existing systems, new technologies or a specific component from another manufacturer. The open platform has pre-built integrations or toolkits that make this a simple, turnkey process that the supplier has to worry about, not you. So, what does an open platform give you that a closed or proprietary solution doesn’t? 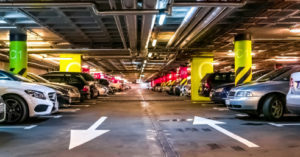 Read why selecting a turnkey parking availability solution based on an open platform that’s device agnostic is the best decision you’ll make about your parking technology stack. 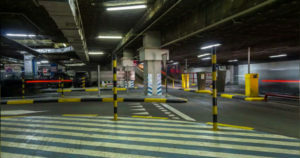 Most parking operations have a number of different environments in which tracking availability is necessary—garages, lots and street parking, to name the most common—and a variety of applications they want to deploy. 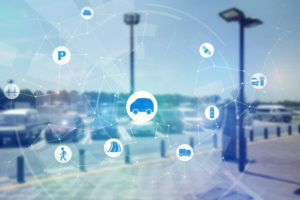 Most frequently these include availability and guidance, access control, safety, and reservations, but messaging, mass notifications, custom analytics, and integrations with other systems are also on many parking professionals’ radars too. Deploying the best solution to fit the problem is the way to get the results you’re looking for. The challenge is that there isn’t typically one technology that fits every environment or configuration, and there aren’t any suppliers who cover every possible scenario. Surface lots, some with clear access points and some with no defined entries or exits, some with controlled access, some with design standards that restrict the use of poles or delimiters, some with very low light levels, some with power and some without, some with occlusions, some unsurfaced or some set aside for specific events or venues. Garages, which may or may not be access controlled, may include meters, may have multiple exits and entries, may have premium spaces (reserved, handicapped or expectant mother) or rooftops that need space level availability and guidance. Street parking that may be metered or open, may have time restrictions, may be reserved for specific events or times or may have design constraints that restrict accurate counting. The last thing you want is for each structure to have a varying rate of accuracy in the number of spaces occupied. If your garage availability solution is 99% but your surface lot solution is at 80% and your street parking solution even lower, your aggregate accuracy rate is very low. And that’s not a daily accuracy rate if you have multiple turns on each space. Even if you have an accuracy rate of 90% across all your environments, if you have four turns a day, you are producing directionally accurate data, at best. Across everything, though, for every kind of operation, you likely want one source of truth: one parking availability and guidance system to reference where you can see the availability, utilization, occupancy time, duration of stay, and type of parking stay for every lot, garage or street parking space under your management. You want to have one place where you can gather your data to make the best decisions in real time and on the fly, provide guidance for parkers in real time, and understand your environment based on true data, not opinion or anecdote. This can only happen when you have very high accuracy rates. Without that, you’re still working from supposition, making it difficult to solve the problem, whether it’s getting students to the closest available parking spaces and to class as quickly as possible (helping increase student retention), shoppers into spaces and shops without frustration (so they can spend money), employees into their seats (so they’re productive and ready to work), or visitors into and out of their event venue without backups (to reduce traffic, congestion and emissions). For each of these considerations, there is a “best fit” technology, one sensor type or technical solution that provides the most appropriate accuracy level at the right cost. Finding one manufacturer who offers each of the different sensor types or integrations can be challenging if not impossible. In our next post, learn more reasons why selecting a turnkey parking availability solution based on an open platform that’s device agnostic is the best decision you’ll make about your parking technology stack.